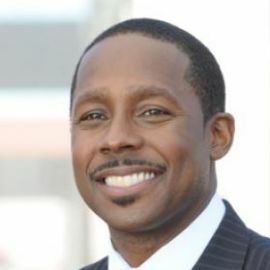 Desmond Howard attended the University of Michigan, where he won the Heisman Trophy, given to the nation's most outstanding player, in 1991. Playing wide receiver, returning kicks, and returning punts, Howard scored 23 touchdowns in 11 regular-season games, including a Big Ten Conference-record 19 touchdown receptions. Howard was a member of four consecutive Big Ten championship teams at Michigan (1988-91), traveling to three Rose Bowls. The moment which probably defined Howard's college career was his memorable touchdown-scoring 93-yard punt return against arch-rival Ohio State in 1991. Once he reached the end zone, Howard struck the now-famous "Heisman pose," thus causing ABC play-by-play commentator Keith Jackson to utter the line, "Hello, Heisman!" Since this moment, he has been credited with popularizing the "Heisman pose" as an on-field celebration for football players at all levels. Howard later joined the crew on College GameDay on ESPN. His continued provocation of Ohio State Fans, particularly the singing of the Michigan Fight song on top of Ohio Stadium during a September 10th 2005 boardcast on The Ohio State University campus. This was presented with boos and later a boycott of ESPN in the Columbus, Ohio area, where what Howard did was seen as a desecration of the stadium. After college, the Washington Redskins selected Howard in the first round, 4th overall in the 1992 NFL Draft. Howard's performance as a receiver was viewed by many as a disappointment, recording just 92 receptions in his first 4 seasons, and recording more then 30 receptions only once in his entire 11 season career. However, he excelled as a punt and kickoff returner on special teams. His most notable professional season was in 1996 when he was playing for the Green Bay Packers. He he led the NFL in punt returns (58), punt return yards (870), punt return average(15.1), and punt return touchdowns(3), while also gaining 460 kickoff return yards and catching 13 passes for 95 yards. His 870 punt return yards were an NFL record. During the 1996 NFL post season, Howard contributed a punt return for a touchdown in a game between the Packers and the San Francisco 49ers. In addition to that game, Howard also helped the Packers to win Super Bowl XXXI with his 99-yard kickoff return touchdown stopped the Drew Bledsoe-led New England Patriots' hope for a comeback. He recorded a Super Bowl record 90 punt return yards, 154 kickoff return yards, and a touchdown, earning him the Super Bowl MVP honors. Howard was the first player to win the award solely based on his special teams performance. His 244 total yards also tied a Super Bowl record. In his 11 NFL seasons, Howard caught 123 passes for 1,597 yards, rushed for 68 yards, returned 244 punts for 2,895 yards, and gained 7,595 yards returning 359 kickoffs. He also scored 15 touchdowns(7 receiving, 8 punt returns). Overall, Howard gained 12,155 total offensive yards. On May 6, 2005, EA Sports announced that Howard would be the cover athlete for their latest installment in the NCAA Football video game series, NCAA Football 06. This announcement is a departure for the series, which has traditionally featured college athletes who went to the NFL the previous year on its covers.